Prison Break is getting ready to return to FOX at some point in the near future, but the revival is dealing with some big challenges. Two of its stars have landed roles on a new CW series. Both Wentworth Miller and Dominic Purcell committed to DC’s Legends of Tomorrow for at least 16 episodes, and their schedule is making filming FOX’s planned Prison Break revival difficult. There is one thing that is helping a bit. Warner Bros. Television owns both shows, so there are talking going on behind the scenes. Warner Bros. wants the revival to happen, but it does not want to kill DC’S Legends of Tomorrow either. Do you plan to watch Miller and Purcell on DC’s Legends of Tomorrow? 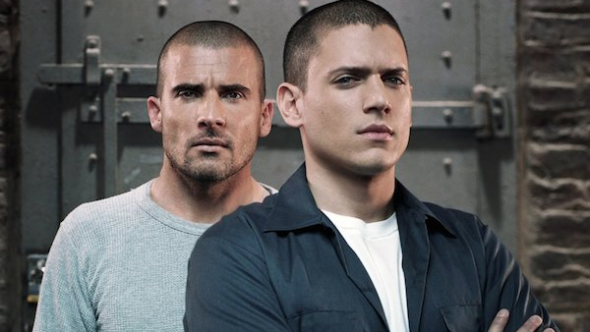 Are you excited to hear that the Prison Break revival is still in the works? Tell us what you think. More about: DC's Legends of Tomorrow, DC's Legends of Tomorrow: canceled or renewed?, Prison Break, Prison Break: canceled or renewed? one great show,i wish they bring back everyone.can;t wait. love prison break,watch every one.his brother was great ever step of the way.just loved it. Yes, I plan to watch; however, I want William Fichtner back, also! Yes! Yes! Yes! I want Prison Break to come back! Love the characters and never ending cliff hangers and surprises at every turn! Thank you! Leave Prison break in the ground. It was nothing of its former self by the end. The last season was a real crapshoot (the first 3 were good) but maybe the writer can return it to its glory days. YES, to both!!! I am so happy that Prison Break is returning!!! I love Wentworth Miller and Dominic Purcell! !